The New Energy Jazz Orchestra was started by noted jazz performers, composers, and RIT faculty Carl Atkins and Jonathan Kruger in the Spring of 2006. Its legacy dates back to the popular 13-piece band, Sheer Energy, formed by Atkins in 1984, with several of the players from that group (including Kruger) being a part of this new ensemble. The purpose of this venture is to establish a Rochester-based ensemble to perform new compositions for jazz orchestra, as well as to perform "classic" repertory by international jazz composers and performers, from both the past and the present. 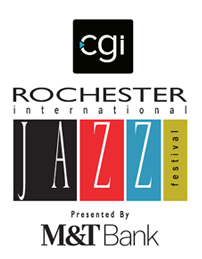 The personnel of the orchestra is comprised primarily of Rochester-based jazz musicians.